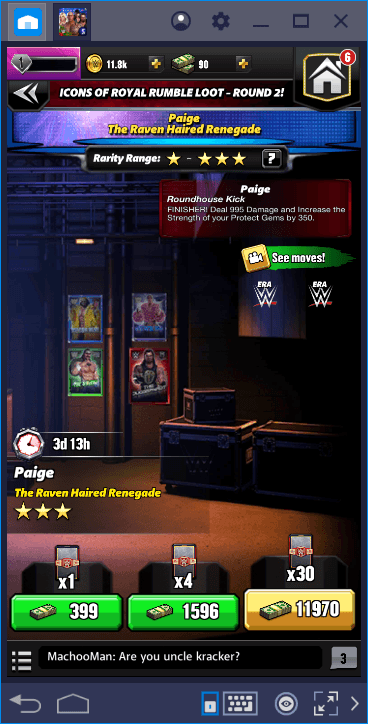 At first glance, WWE Champions may seem like a simple match-3 game, but it offers much more than that. If you’ve never played a game that uses gacha mechanics, you can be sure that you’ll need some help. In addition, there are some features that will make it easier for you to win fights. To learn all about these things and get the most useful WWE Champions tips, keep reading. There are almost 100 wrestlers in WWE Champions and you use different methods to collect them. If you don’t want to use real money, you should choose one of the other two methods: Collect shards or gain loot. 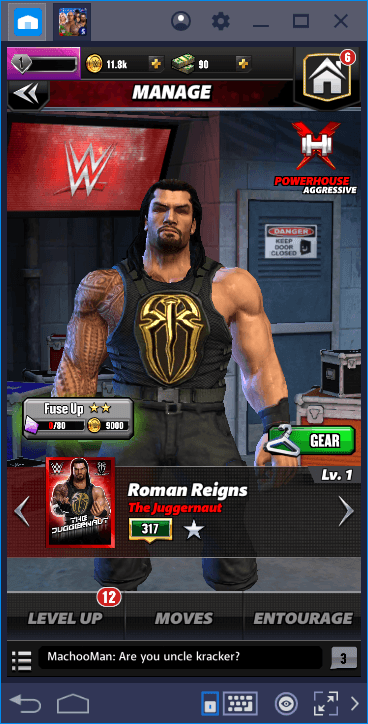 As with many other gacha games, WWE Champions wrestlers have various amounts of shards. When you collect all the shards of a wrestler, you can summon it. 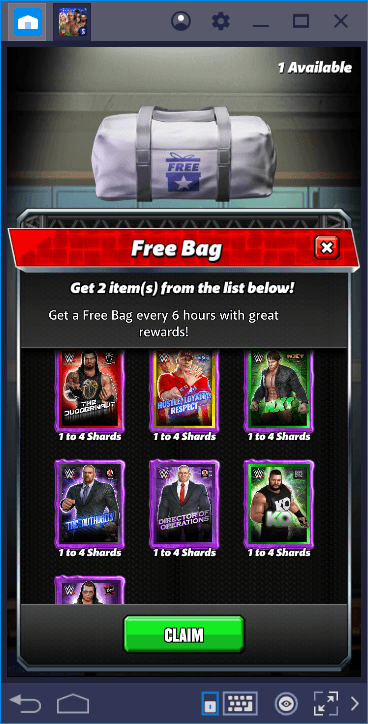 To collect shards, you can claim a free bag every 6 hours or win matches. Remember to claim your free bag every 6 hours. There is no guarantee that you will always get a shard: You can also get health packs to heal wounded wrestlers. When you win matches, you get loot. By using it, you can buy a specific wrestler’s summon card. Each card gives a certain number of shards. In some events, the number of shards you can win is doubled. 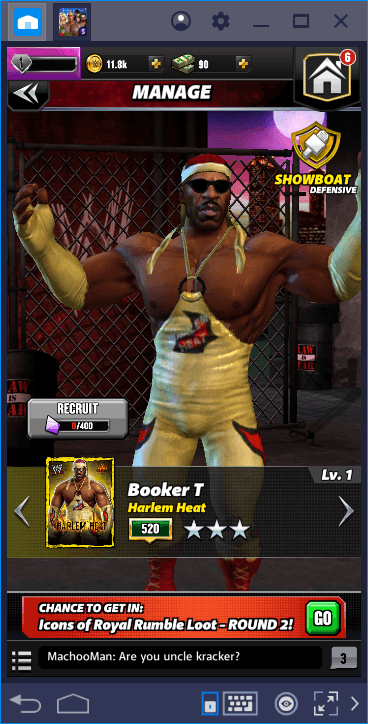 By pressing the “recruit” button on this screen, you can see where you can collect the shards of a specific wrestler. If you match random gems on the combat screen, you’re not playing this game optimally. You should give priority to some types of gems and in this respect, you should choose according to the class of your characters. In other words, you need to focus on the gems that will provide the most benefit to your wrestler. Let’s start by talking about classes. From the marked location, you can see which class the wrestler belongs to. Click the same spot to learn about the features of that class. 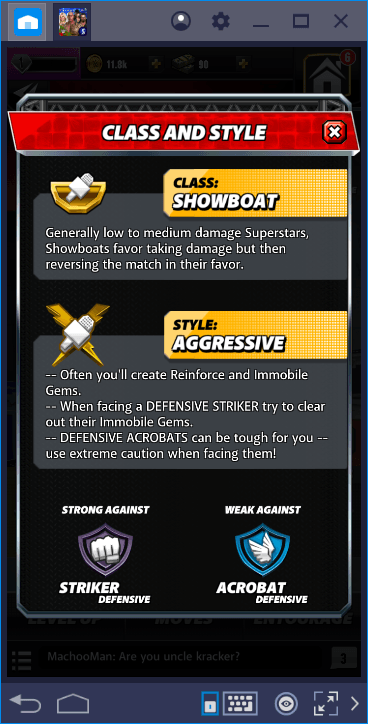 For example, “showboat” wrestlers can do more damage than other classes. To make your work easier, we prepared a list for you that shows detailed information about every wrestler class in the game. In other words, if you are struggling hard in a particular fight, you may be fighting against an opponent who has an advantage over you. Change your fighter and try again! Below is a list of wrestlers who we think will be the best choice for beginners. When preparing this list, we used our own experiences and common views of the players, so keep in mind that this isn’t a “fixed” list: You can choose other wrestlers and still have an enjoyable experience. 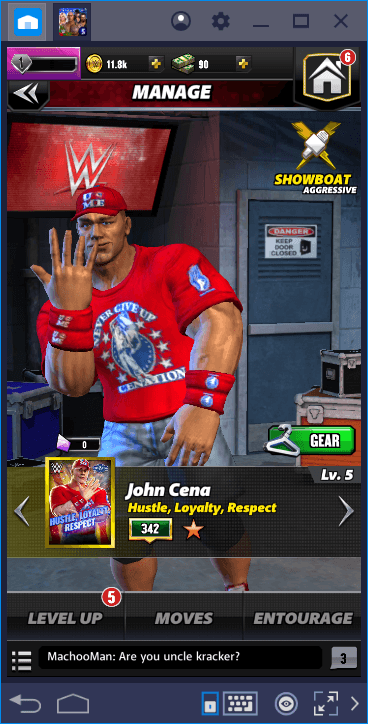 You get John Cena for free at the start of the game, and he gets a different bonus from every gem color out there. We think that he should always be in your roster – remember to upgrade him regularly. Undertaker’s defensive power is quite high, meaning he can withstand more attacks. 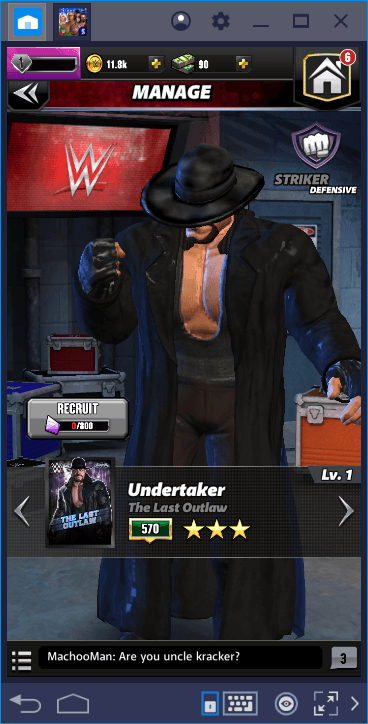 When you encounter a challenging opponent, you can get the time you need with Undertaker to create the required gem combos. Roman has an aggressive style and uses black gems very efficiently. So he benefits from not only red but also black gems, which increases the number of combos you can create. Especially in the beginning, this ability will be very useful. Are there any other wrestlers you recommend? Don’t forget to let us know in the comments section! 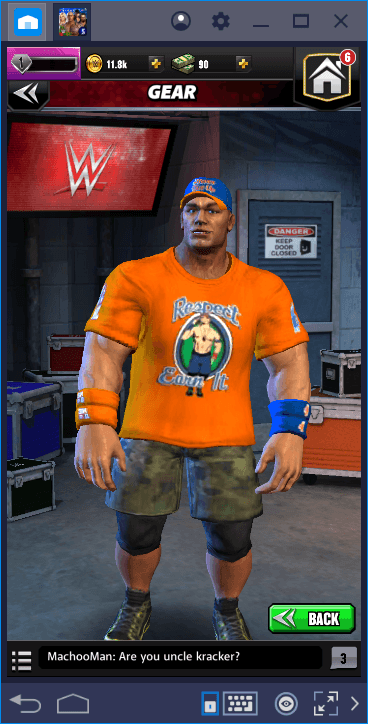 WWE Champions can be played as a simple match-3 game or it can turn into a game where you have to use complex battle strategies – in other words, it manages to offer something for all kinds of play styles. If you’re just starting the game, don’t forget to read our WWE Champions review too. Good luck in the ring!